Dive under the waves to explore, survey, and monitor marine debris in its un-natural habitat, the Monterey Bay. We are happy to announce that our Open Explorer Trident ROV’s name will be: Seamore!!! Thanks to everyone who voted. First, we got a review session on how to use the ROV and its controller. We even got to work with one of the tech developers of the ROV. He explained cool facts like how the ROV needs weights while in salt water and they need to be taken off in freshwater to maintain buoyancy. This is helpful information for when we dive in oceans or rivers. We also learned about the controller and all it’s functions. The controller looks like a mix of popular video game system controllers. All these years of playing video games is going to pay off! We learned how three people per expedition dive is a good number because there are three roles: Operator, Tether Manager, and Safety Person. The Operator is in charge of using the controller to drive the ROV. They are usually under a blanket for better visibility of the screen and have to focus on moving the ROV, capturing videos, and keeping it out of harm's way. Tether Manager is in charge of dropping the ROV in and out of the water and using the tether. They also have to be able to unravel the tether the right amount in correspondence with the Operator, so the ROV can move smoothly. Safety Person is in charge of pulling in the tether rope when it is getting too tangled in the water. Having three people at each dive will allow everyone to specialize on their task and allow for more safety for the equipment and people involved. At the training, we got to test drive our ROV in a tank at the center, which was full of fake sea animals and plants. This simulation was a great place to test the three speeds of the ROV, practice taking videos, and overall to see how to use the ROV. I was delighted by the surprisingly clear video quality showing HD details of all the prop creatures in the Exploration Center. During the meeting I learned the limitations of our research such as: no anchoring and we can only do observational work. I also got to present Save Our Shore’s expedition plan at the meeting. I shared how we plan on using the scientific method to test some hypotheses, our proposed locations and what factors we plan on recording. There were other ideas for Trident use by the meeting attendees including pH, dissolved carbon, and salinity testing. Lastly, we learned at the meeting that ROVs were originally invented to find a lost bomb. After more research into the early development of the ROV I found the US Navy was a huge funder of the technology’s advancement in the 1960’s to find a nuclear bomb lost in the Mediterranean Sea after the 1966 Palomares B-52 crash according to the Remotely Operated Vehicle Committee of the Marine Technology Society website. When I got back to the office, I kept my training in mind. I created a diagram of the controller and wrote what each button did such as: tilting, going up and down, recording, lights, moving right and left, as well as indicating the power button and charging port. I read the manual and online forums to research all I could about the equipment, this way I can feel confident when I execute my first “In The Field” dive. Below is a video we took at the Exploration Center during our first practice dive! Our SOS employee Nia can be seen as well as impressed center visitors, another ROV, and prop ocean creatures in the tank. We are excited to announce that our Trident is finally here! The whole team was ecstatic to receive the OpenROV today in the mail. Save Our Shores is excited for our next steps to explore the Monterey Bay and the marine debris that lurks below the surface. Please head on over to our social media sites to vote for the name of our new Trident OpenRov! Save Our Shores is excited to get our ROV to see what trash is accumulating off our local shores of the Monterey Bay. We can’t wait to track our findings and help the local population see the unfortunate truth of marine pollution. We anticipate that our use of the data will help advance our advocacy and education efforts in our community and help inspire other communities across the globe, and we’re inspired by the many other Open Explorer expeditions that are already using the ROV in fascinating ways. Over all, Save Our Shores is excited by the progress and journeys of other expeditions. The interdisciplinary approaches to studying water ecosystems across the globe are not only fascinating, but inspiring for our team. As adventurous scientists and local youth participate in these expeditions, more research is found with ROVs to help protect the oceans and to help inform the public about the animals and plants that lurk below the ocean water. We can’t wait to see what unexpected objects we find with our ROV as we look for trash and pollutants in the Santa Cruz area here in California. As a native Californian, the beach has always been a big part of my life. From a young age I would spend every summer swimming in the ocean waters and building elaborate sandcastles decorated with sea glass, shells, and seaweed I would find along the shore. The ocean was always a beautiful place I could go to relax and have fun with my friends and family, that’s why I was drawn to Santa Cruz when it was time to go to college. I am currently a senior at UC Santa Cruz studying Environmental Economics where I learn economic analysis along with the environmental mechanics of resource production and conservation. Save Our Shores stood out to me when I was looking for an internship because of their great work for ocean conservation and local educational programs. As an intern I lead beach cleanups, analyze data, and assist teaching local students about ocean health. I can’t wait to use the ROV to help improve the local ocean’s condition and to research what pollutants are the most abundant. Once we see what trash is in the water, we can send divers to areas of high contamination and collect the harmful rubbish that is hurting local ecosystems. It will be beneficial to see what trash our community needs to work on polluting less while also using what we find as a catalyst for social and political change in the local community of Santa Cruz. As a nonprofit leader, conservationist, and sustainability expert, Katherine has tackled environmental challenges from coast to coast for the last 25 years. She has worked for environmental organizations including Business Social Responsibility, GreenBlue, and the Nantucket Conservation Foundation. Katherine is an expert on product and packaging sustainability and identifying pathways for abating plastic waste which comprises so much of the debris in our marine environments. At Save Our Shores she focuses on the organization’s vision and strategy and influencing policy to ensure a healthy Monterey Bay now and for decades to come. On September 15th, Annual Coastal Cleanup Day, 10 volunteer divers went deep underwater into the Santa Cruz Wharf. They found 8 pounds of trash including: 3 glass bottles, 5 fishing buoys, 2 fishing nets, 104 fishing lines, 6 ropes, 1 lighter, 3 pieces of construction materials, a plastic bucket, batteries, clothing and even a diamond earring! This is eye opening that just one dive session could bring in such a haul. One of the most alarming findings from that dive was all the fishing gear. Fishing gear can be harmful to the ocean by catching unexpected creatures and killing or injuring them as they get tangled; this is commonly referred to as ghost fishing. The Ghost Fishing Foundation speaks on this problem by explaining that nets, long lines, traps, and all other man-made contraptions used to fish have a chance of ghost fishing for several centuries because of the materials used to produce fishing gear. They go on to declare that hundreds of kilometers of nets and lines get lost annually. Having any species caught in drifting fishing gear can cause a ripple effect of change in the ocean’s natural ecosystems, but when pregnant fish and species on the brink of extinction get ghost fished, their absence has an even more detrimental effect on the ocean’s health. The more fishing gear we collect, the safer the animals will be and ecosystems will have more freedom to flourish. Once our ROV expeditions are underway we will be able to see the best areas to send divers and thus we will maximize our collection capabilities. After specifying the most condensed areas of trash and marine litter, we hope to send divers to those areas to directly clean up problem areas. This will help avoid wasting divers’ time on generally clean areas. Our ROV expeditions will make clean up diving sessions more efficient and lead to a cleaner ocean. The California Department of Fish and Wildlife defines MPAs, or Marine Protected Areas, as marine or estuarine areas designed to protect or conserve marine life and habitat. 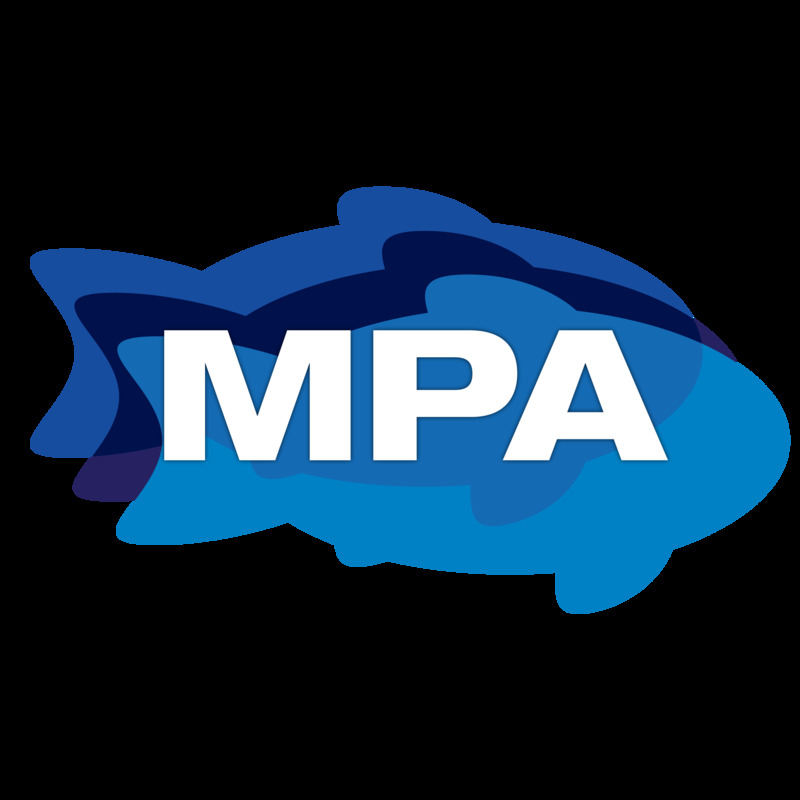 MPAs are open to the public for enjoyment and for research, but they have certain requirements to limit total human disturbance. Marine debris affects MPAs by hurting animals and ecosystems, therefore it is crucial we act now to limit the massive amounts of litter humans produce to ensure a healthy ocean. Although MPAs are regulated to try and minimize human disturbance, plastic pollution and trash still find a way into California MPAs just from everyday life activities. Regulating plastic pollution has become a hot topic in society recently because of the increase in knowledge about plastic pollution. Starbucks plans to ban all disposable plastic straws by 2020 and California’s state-wide plastic bag ban has been in place since 2016. Even though there are these social movements to move away from plastic, the ocean still is full of debris. In fact, according to MPA News, the UN committed its 2018 World Environment Day to the cause of beating plastic pollution. Our expedition will focus on the Central California MPAs in the Santa Cruz area. Santa Cruz County has two Marine Protected Areas: The Greyhound Rock State Marine Conservation Area and the Natural Bridges State Marine Reserve. If we can pinpoint trash hidden under these water’s surfaces then we can better focus our conservation efforts. We expect to find plastic debris, but we don’t have an idea of the type or source of the debris. Our next step after finding the trash with the ROV, would be to possibly modify the device to collect the debris, use the data to show volunteer divers where the most condensed amount of trash is, and to compare pier and non-pier trash results. This expedition is important to not only the Santa Cruz community but for the entire ocean as well. Trash negatively effects the ocean in multiple ways such as hurting animals and leaching chemicals into the ocean that harm ecosystems. Save Our Shores mini-ROV expedition will illuminate trash under the surface. A diagram created by the Santa Clara Valley Urban Runoff Pollution Prevention Program clearly shows that littler gets into creeks from daily human sources. This is important because all creeks flow into the ocean. By identifying common types of trash with our mini-ROV, we will then be able to better guess what sources are most contributing to pollution. Lastly the image depicting transport of plastics throughout the environment shows just how closely trash is integrated into the ocean from the surface to the ocean floor. Save Our Shore's goal is to use our mini-ROV to find what trash is most common. Although we do not have our ROV, we have created some steps to get us ready towards our first expedition. We want to survey the amount of marine debris in the water by using transects. We will visit 5 beaches where we will launch our ROV. The best time to gather data will be after a busy summer weekend, holidays, and when the tide is low.